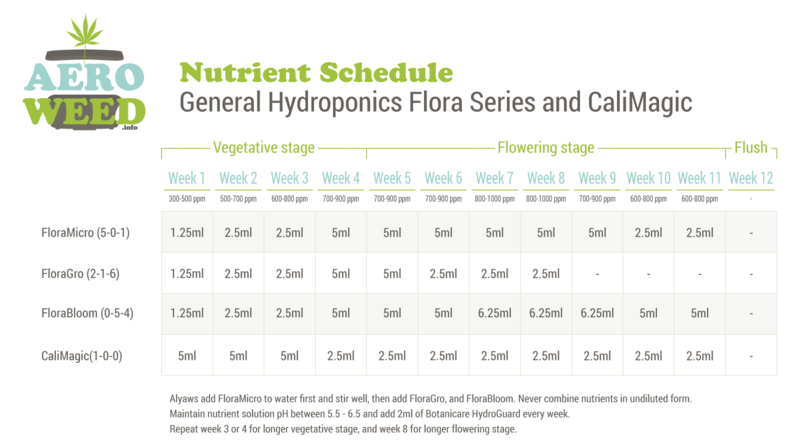 Here is my AeroGarden™ nutrient schedule, I have reduced nutrient concentrations by half compared to General Hydroponic dosage. Remember that all strains are different, and some are more sensitive to deficiencies than others. So keep a close eye on plant leaves to diagnose (and rectify) any problem. Important: always add FloraMicro to water first and stir well, then add FloraGro, FloraBloom, and CaliMagic. Never combine nutrients in undiluted form. 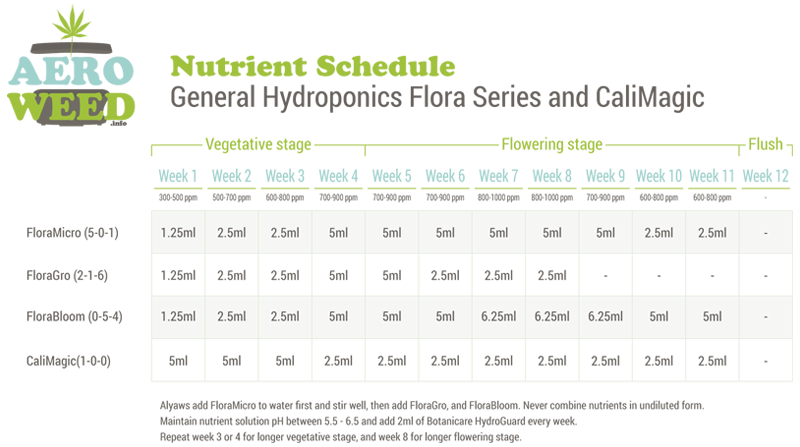 Maintain nutrient solution pH between 5.5 – 6.5, and during the week, fill the AeroGarden with plain water. 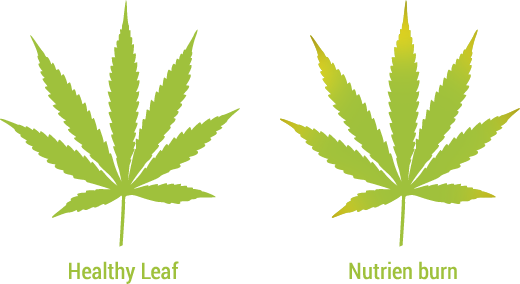 If you look at your leaves tips, and they are turning yellow and burned, this means you have probably an excessive amount of nutrients in your solution. Reduce slightly (15%) the quantity of nutrient the next week, and keep observing. If your leaves look healthy, you have a green thumb! 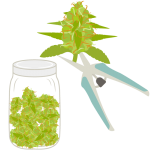 Your cannabis leaves can turn from healthy green to spotted brown and distorted very quickly in hydroponics. If the pH is out of the recommended zone, this could cause nutrient deficiencies. For example, if pH drops too low, the plants can stop absorbing calcium and magnesium. If the pH is too high, phosphorus may not be absorbed. For this reason, you should always measure and target a pH of 6. The pH pen tester is your best friend, and I recommend to calibrate your pen with pH calibration solution twice a month.